I hope you all had a happy Fourth of July! I spent the holiday in Minnesota with my family, enjoying happy hours by the lake, boat rides, and one (okay two) Dairy Queen blizzards. Seeing as temperatures hovered near triple digits for the duration of my visit, we also spent much of the week trying to stay cool. So when it came time to make something sweet for our family Fourth of July barbecue, I decided popsicles fit the bill. Since it was a holiday, I figured a dash of prosecco was also in order. The resulting dessert/cocktail hybrid was a hit--the perfect thing for our post-boating and pre-barbecuing cocktail hour. 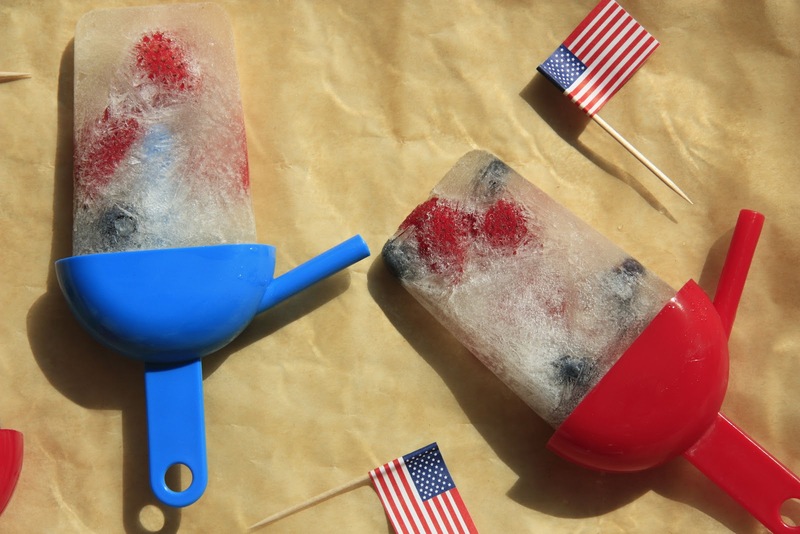 And there's no need to wait until next July to whip up a batch--I filled my prosecco pops with strawberries and blueberries to be patriotic, but you could use blackberries, peaches, or whatever other fruit you may have on hand. Raspberry-lime prosecco pops just because it's Wednesday? Hey--it's summer and there's always something to celebrate. Don't mind if I do. Combine the prosecco, grape juice and lemon juice in a large glass measuring cup. 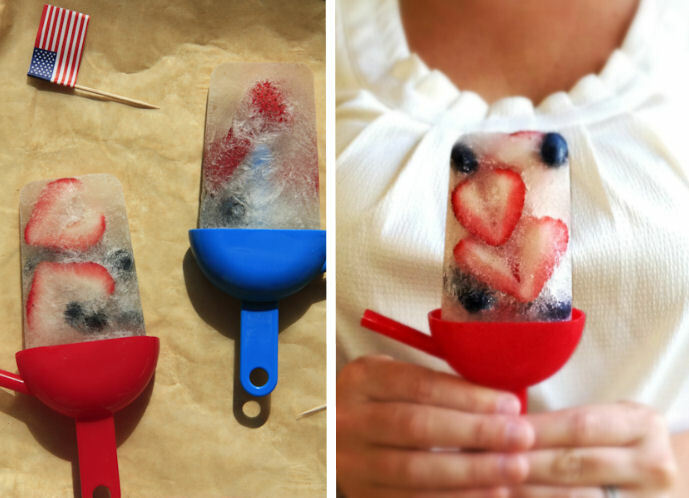 Drop a few blueberries and several strawberry slices into each of 8 popsicle molds, alternating blueberries and strawberries so that there is a mix of colors and flavors throughout. Pour the liquid into the molds, filling them just to the top. Freeze until set (preferably overnight).